The letter was sent on behalf of the LHT union network on 18 November and appeals to LHT chair and chief executive Carsten Spohr to intervene and ensure that the company resumes negotiations for a full and fair settlement of issues concerning workers in the wide body aircraft maintenance department. They expressed their disappointment that LHT is in return demanding a job security period of only two years. In the interest of co-operative, well-developed industrial relations, they urged Mr Spohr’s intervention. 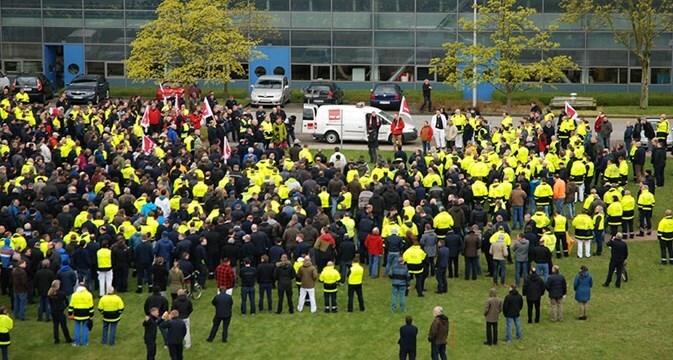 “Such an action would demonstrate a commitment to good labour relations in Lufthansa Technik not only in Germany but all around the world, in order to avoid an escalation of conflicts and would be an important contribution to a positive and stable future for the company in Germany and worldwide”, they stated. Ver.di told the ITF that its members were enthusiastically circulating the letter among the workforce. 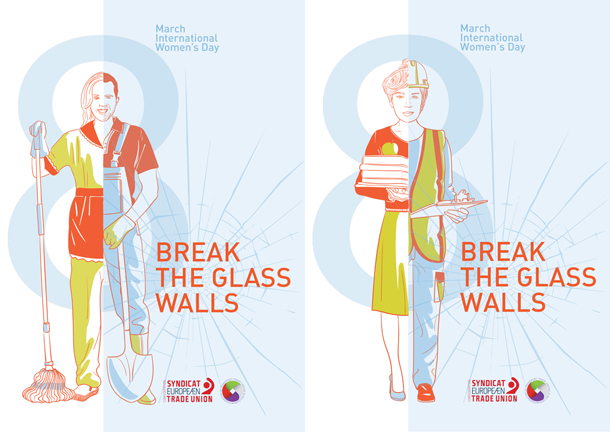 On International Women’s Day, the European Trade Union Confederation (ETUC) calls on men and women to break the glass walls that segregate the sexes in different occupations at work – and reach more gender equality in the labour market. This year, DG “Justice” of European Commission has announced 2 November for Equal Pay Day. The remaining 59 days (over 16%) from this day till the end of the year comprise the period women work for “free”, as it corresponds to what women in Europe gain less in payment for their work than men. The date 7 October was chosen in 2008 by the International Trade Union Confederation (ITUC) to mark the World Day for Decent Work. Since then this day is celebrated in more than 130 countries worldwide. The term “decent work” was introduced by the International Labour Organization (ILO) and has become a focus of the industrial relations. 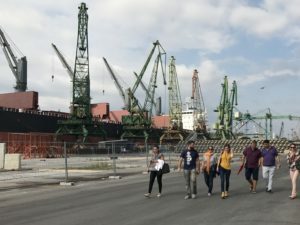 The ITF affiliated OGB-L have signed a ground breaking sectoral agreement for ground handling workers, which provides a compulsory re-hiring of workers in case a service provider would lose the market or part of it. During its Executive Committee meeting on 10-11 March 2015, ETUC adopted a Declaration in support of collective agreements and good working conditions in European aviation industry. 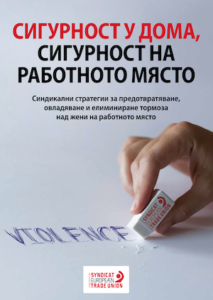 The meeting was attended by Ekaterina Yordanova, president of FTTUB and vice-president of ETF and ETUC’s Women’s committee; Plamen Dimitrov, President of CITUB and member of the EC of ETUC; Eduardo Chagas, General Secretary of ETF and others, who unanimously supported the declaration.